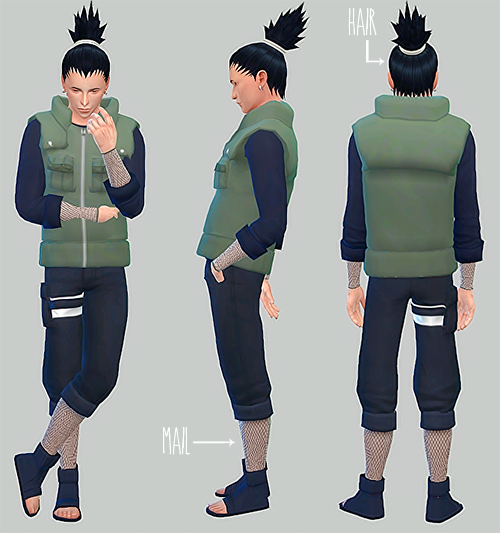 Nuevos meshes de cabello y ropa inspirados por el personaje de Naruto, Nara Shikamaru. 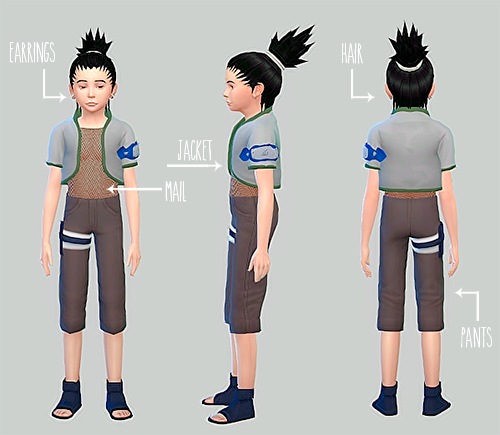 New hair and clothes meshes inspired by the character of Naruto, Shikamaru Nara. 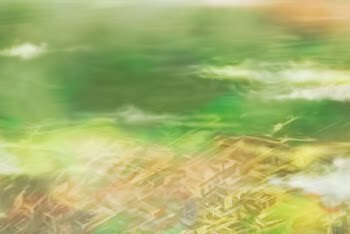 Do you plan on updating this? I hope so. 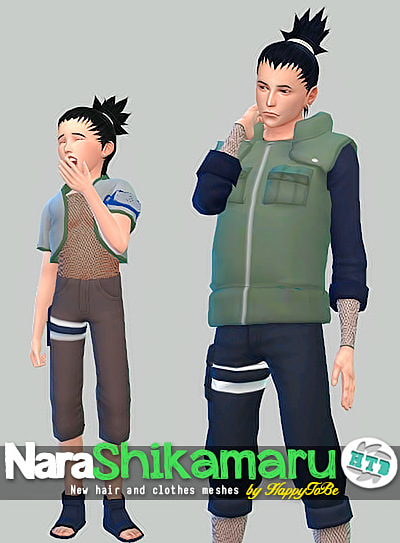 If I'm not zoomed in, Shikamaru is bald..